Q. 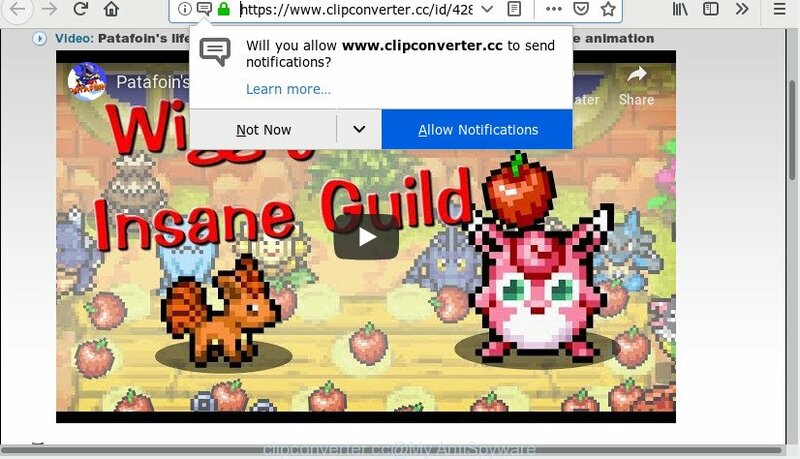 Why am I automatically getting Clipconverter.cc popups no matter what I do? What can I do to stop this madness? Any hints? A. Did it occur after installing any new software? What were you doing before these pop-ups first occurred? Sounds like you have possibly encountered an adware problem. The fix for that problem is ‘reset browser settings’ and use adware software removal utilities. Why is adware considered to be a security threat? Adware software is considered a potentially security threat because it often installed on personal computer without the consent of the user. The adware software usually just presents undesired ads, but sometimes adware may be used to obtain your confidential data. In this article we will discuss how can you remove Clipconverter.cc pop-ups, ads, notifications from the Mozilla Firefox, Internet Explorer, Edge and Chrome manually or with free adware software removal utilities compatible with Windows 10 (8, 7 and XP). The following steps will allow you to remove Clipconverter.cc pop up advertisements from the Microsoft Edge, Mozilla Firefox, Google Chrome and Microsoft Internet Explorer. 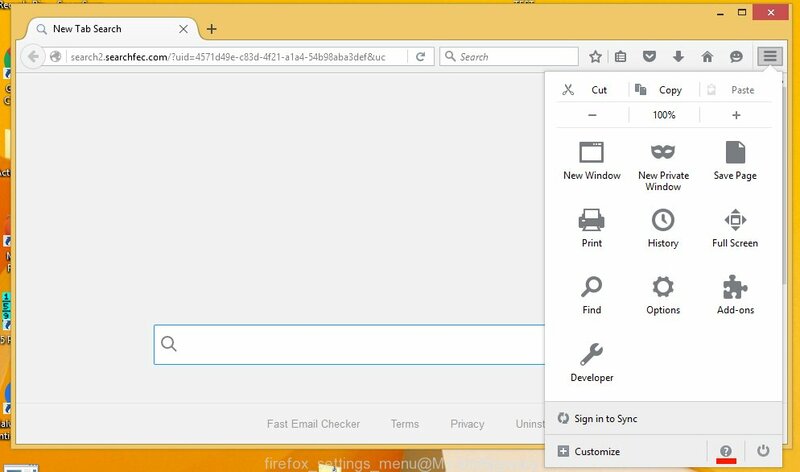 Moreover, the tutorial below will help you to remove malware, browser hijacker infections, PUPs and toolbars that your personal computer may be infected. Please do the guide step by step. If you need assist or have any questions, then ask for our assistance or type a comment below. Read this manual carefully, bookmark or print it, because you may need to shut down your web browser or restart your personal computer. Read this “How to remove” section to know how to manually get rid of Clipconverter.cc pop ups. Even if the guidance does not work for you, there are several free malicious software removers below that can easily handle such adware software responsible for annoying pop up ads. Some PUPs, browser hijacking software and adware may be removed by uninstalling the free applications they came with. If this way does not succeed, then looking them up in the list of installed programs in Windows Control Panel. Use the “Uninstall” command in order to remove them. It will open a list of all applications installed on the PC system. Scroll through the all list, and uninstall suspicious and unknown programs. To quickly find the latest installed programs, we recommend sort programs by date. If you find that Microsoft Internet Explorer internet browser settings had been modified by adware, then you may restore your settings, via the reset internet browser procedure. First, start the Internet Explorer, click ) button. Next, click “Internet Options” as on the image below. You will now need to reboot your PC system for the changes to take effect. It will remove adware, disable malicious and ad-supported browser’s extensions and restore the Microsoft Internet Explorer’s settings such as start page, new tab page and search provider to default state. 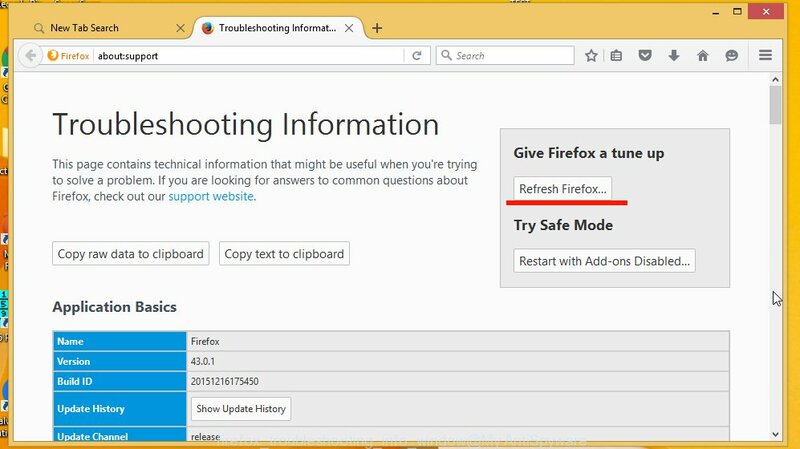 The Firefox reset will remove annoying Clipconverter.cc popups, modified preferences, extensions and security settings. However, your saved bookmarks and passwords will not be lost. This will not affect your history, passwords, bookmarks, and other saved data. If you have adware software, Clipconverter.cc popups problems or Chrome is running slow, then reset Google Chrome can help you. In this tutorial we’ll show you the method to reset your Chrome settings and data to default state without reinstall. First, run the Google Chrome and click the Menu icon (icon in the form of three dots). It will display the Google Chrome main menu. Select More Tools, then click Extensions. You will see the list of installed extensions. If the list has the extension labeled with “Installed by enterprise policy” or “Installed by your administrator”, then complete the following instructions: Remove Chrome extensions installed by enterprise policy. Next, press “Advanced” link, which located at the bottom of the Settings page. The Chrome will display the reset settings prompt as on the image above. If you’re unsure how to delete pop-up notifications easily, consider using automatic adware software removal apps that listed below. It will identify the adware software responsible for unwanted popups and get rid of it from your computer for free. Zemana Anti-Malware is an extremely fast utility to remove unwanted pop ups from the MS Edge, Firefox, Google Chrome and Microsoft Internet Explorer. It also deletes malicious software and adware from your PC system. It improves your system’s performance by deleting PUPs. Installing the Zemana Free is simple. First you’ll need to download Zemana on your PC from the following link. After the downloading process is complete, run it and follow the prompts. 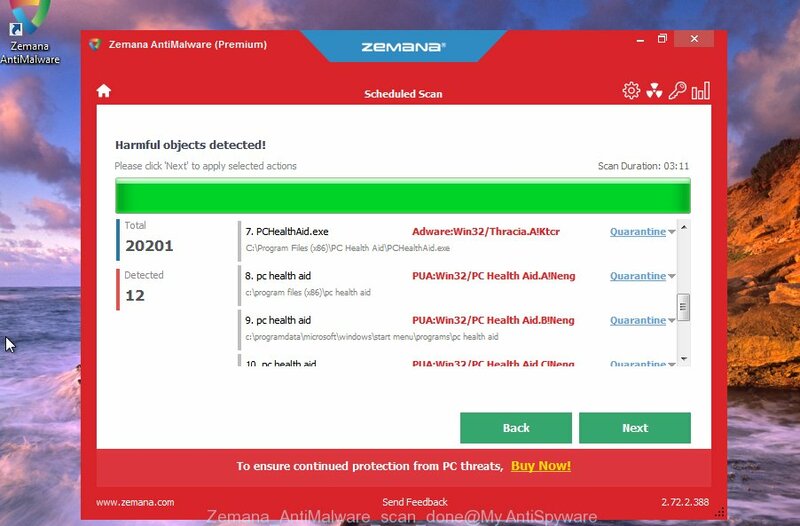 Once installed, the Zemana Anti Malware (ZAM) will try to update itself and when this task is done, click the “Scan” button to perform a system scan for the adware software responsible for Clipconverter.cc notifications. While the Zemana Free program is scanning, you can see number of objects it has identified as threat. When you are ready, click “Next” button. The Zemana AntiMalware (ZAM) will remove adware responsible for unwanted pop-up advertisements. It’s also critical to protect your browsers from harmful web pages and ads by using an ad-blocker program such as AdGuard. Security experts says that it will greatly reduce the risk of malware, and potentially save lots of money. Additionally, the AdGuard can also protect your privacy by blocking almost all trackers. Download AdGuard on your Windows Desktop from the following link. After the installation is complete, click “Skip” to close the installation program and use the default settings, or press “Get Started” to see an quick tutorial that will allow you get to know AdGuard better. In most cases, the default settings are enough and you don’t need to change anything. Each time, when you launch your personal computer, AdGuard will start automatically and stop annoying ads, block Clipconverter.cc, as well as other unwanted web-pages. For an overview of all the features of the application, or to change its settings you can simply double-click on the icon called AdGuard, that can be found on your desktop. Now your machine should be clean of the adware that causes a large amount of undesired Clipconverter.cc popups. We suggest that you keep Zemana (to periodically scan your personal computer for new adwares and other malware) and AdGuard (to help you block unwanted popups and malicious web sites). Moreover, to prevent any adware, please stay clear of unknown and third party apps, make sure that your antivirus program, turn on the option to locate PUPs. If you need more help with Clipconverter.cc popups related issues, go to here.